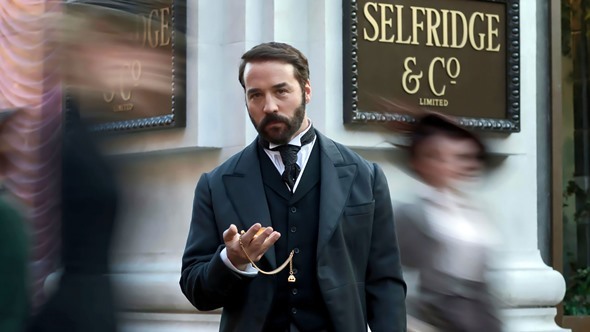 Mr. Selfridge will return to ITV on January 8 with its fourth and final season. The series, which stars Jeremy Piven, was cancelled earlier this year, but there is one more season to go before the final credits roll. Season 4 moves ahead to 1928, with Selfridge at the pinnacle of his power and public celebrity. A man-about-town who often gambles glamorously abroad, rumors of his latest fling light up the social circuit at Victor Colleano’s new nightspot, which is bigger and more decadent than ever. Season four will consist of 10 episodes. It will air on PBS in the US in 2016, but an exact date has not yet been set. Check out the sneak peek for the Mr. Selfridge season four premiere below. Are you excited for the return of this series? Tell us what you think. Anxiously awaiting season 4 – is there an air date set?? I’m sad there is not more of this great show….